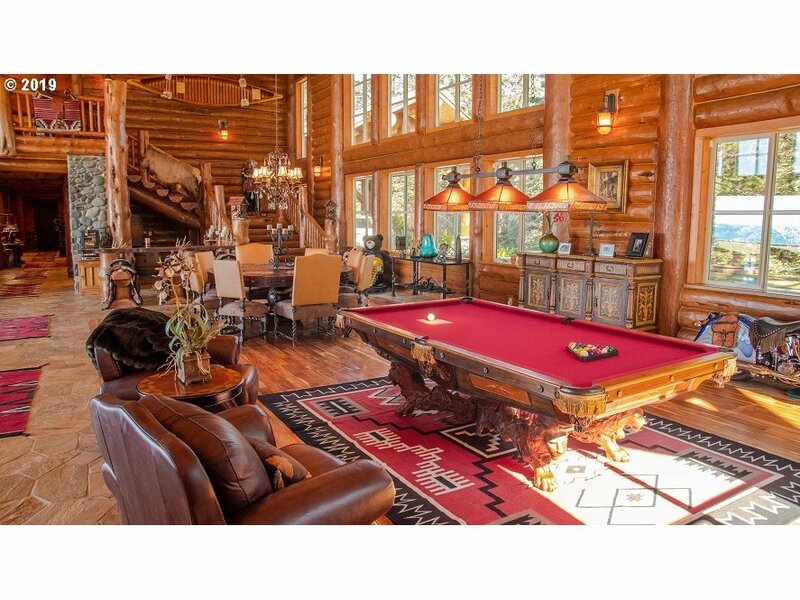 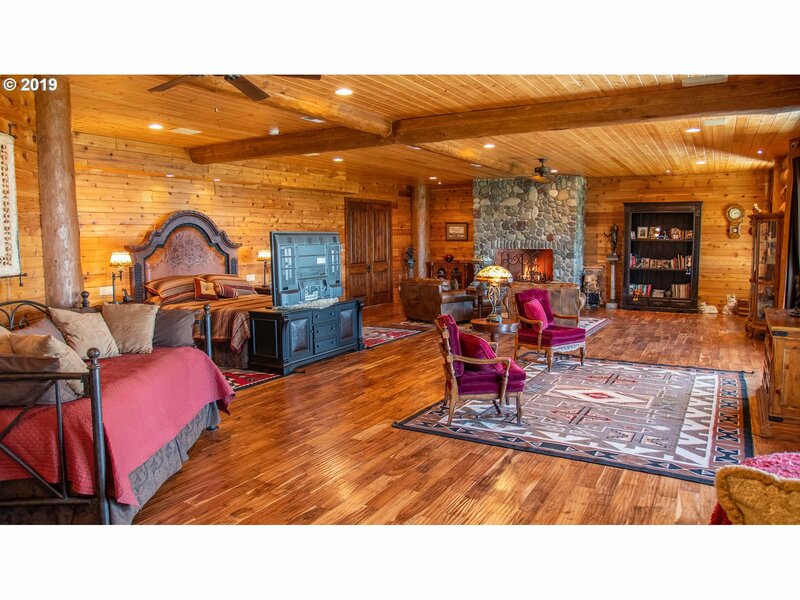 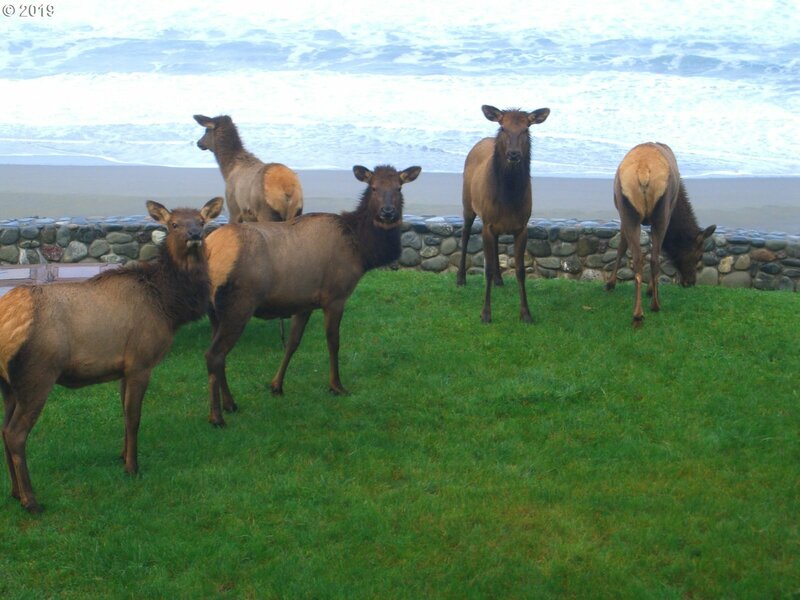 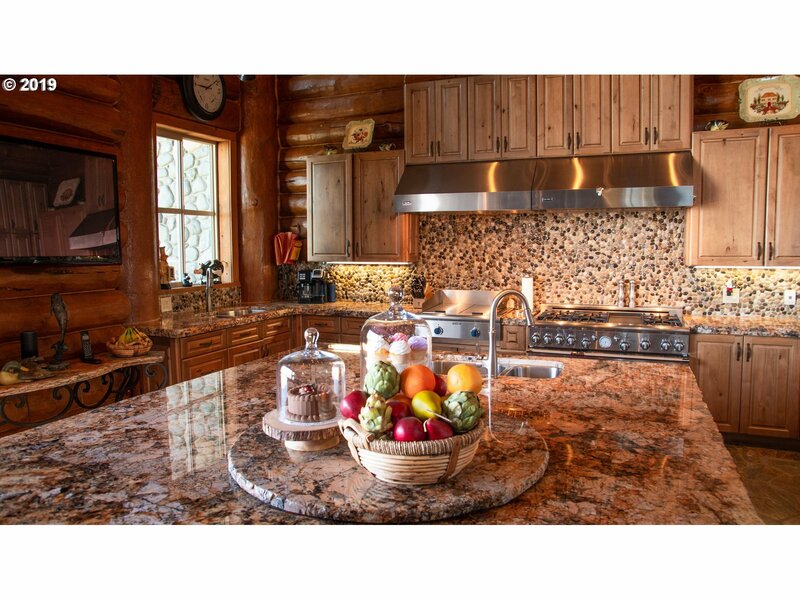 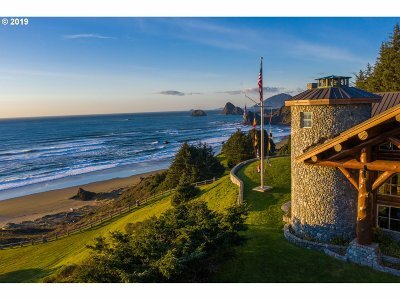 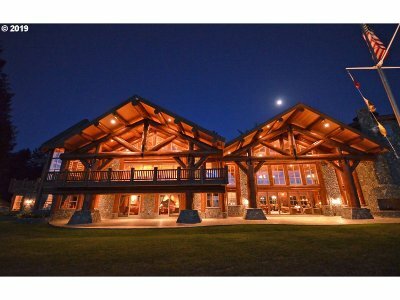 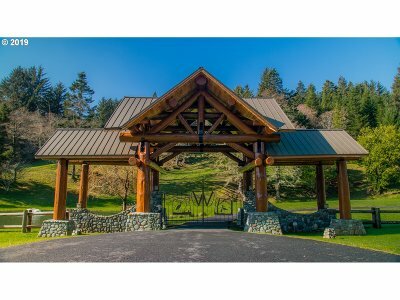 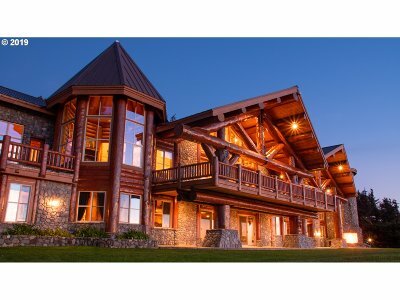 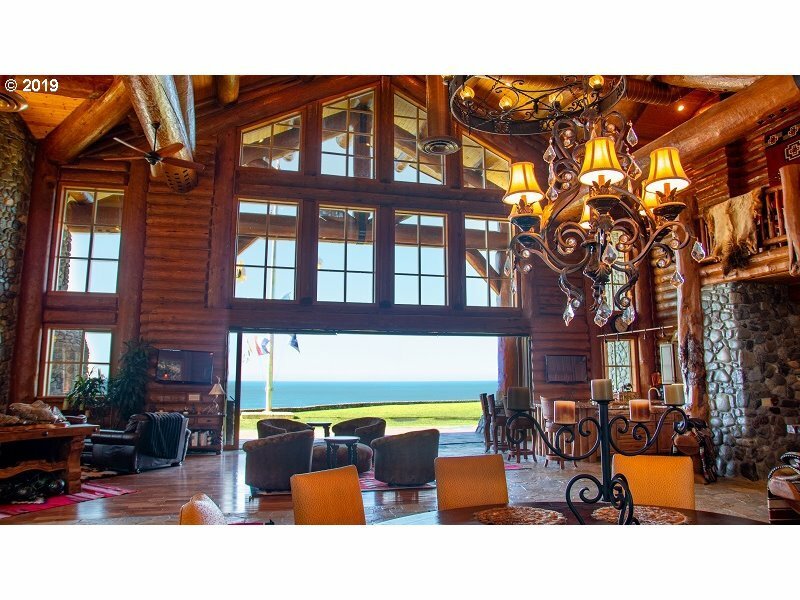 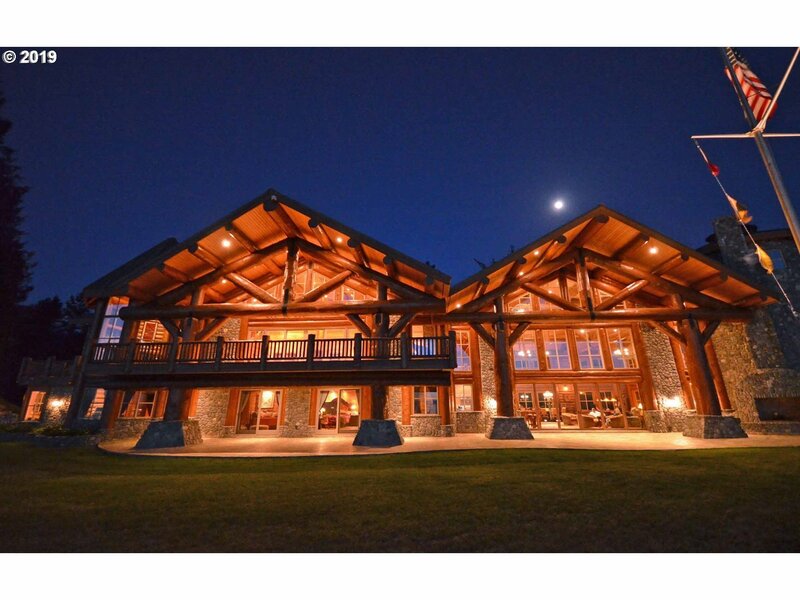 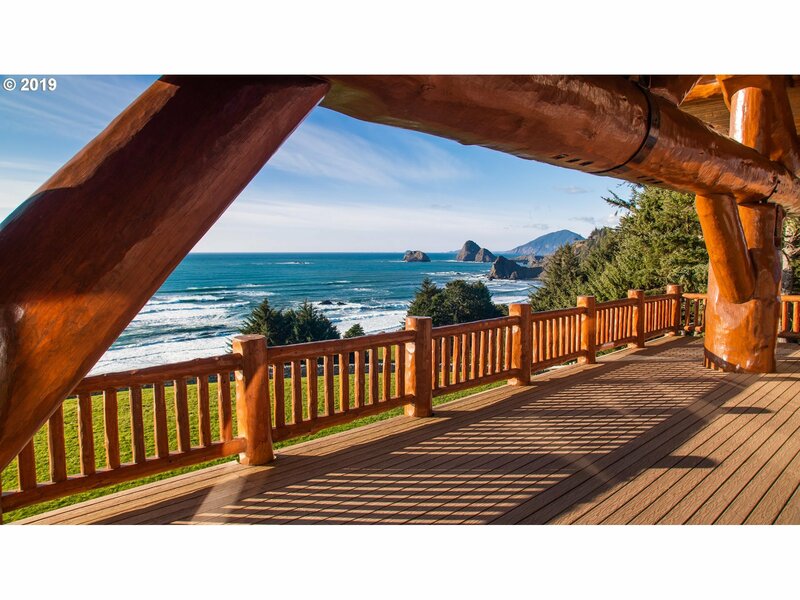 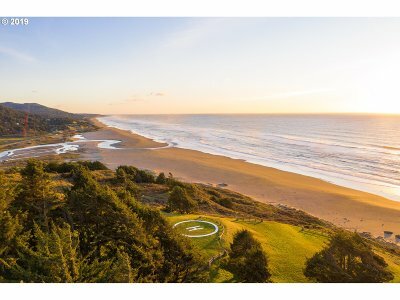 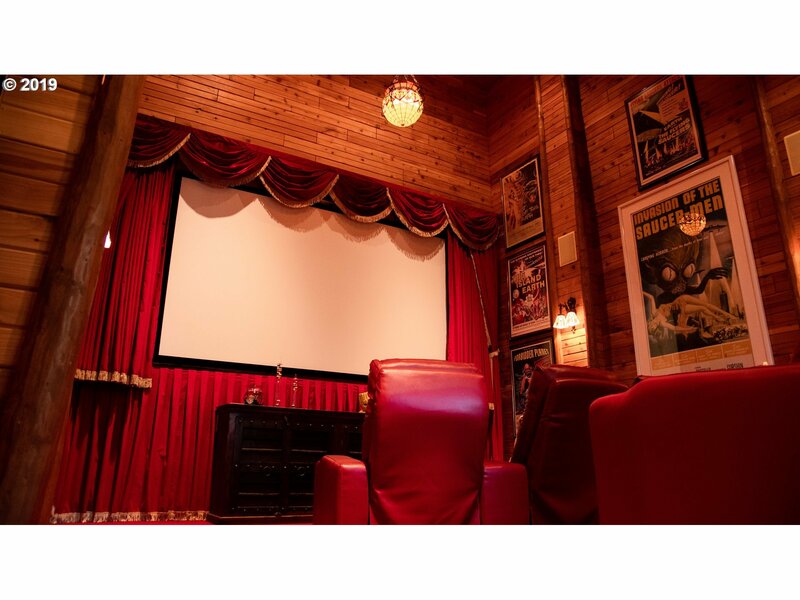 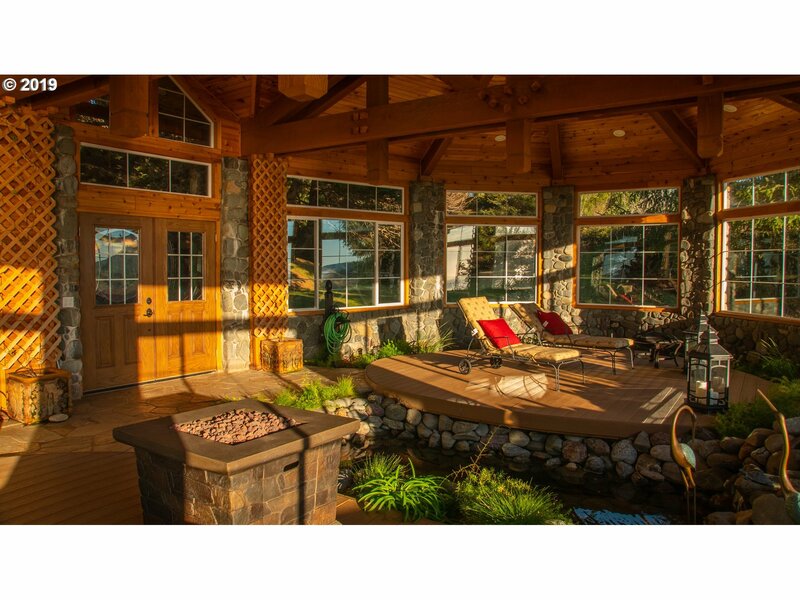 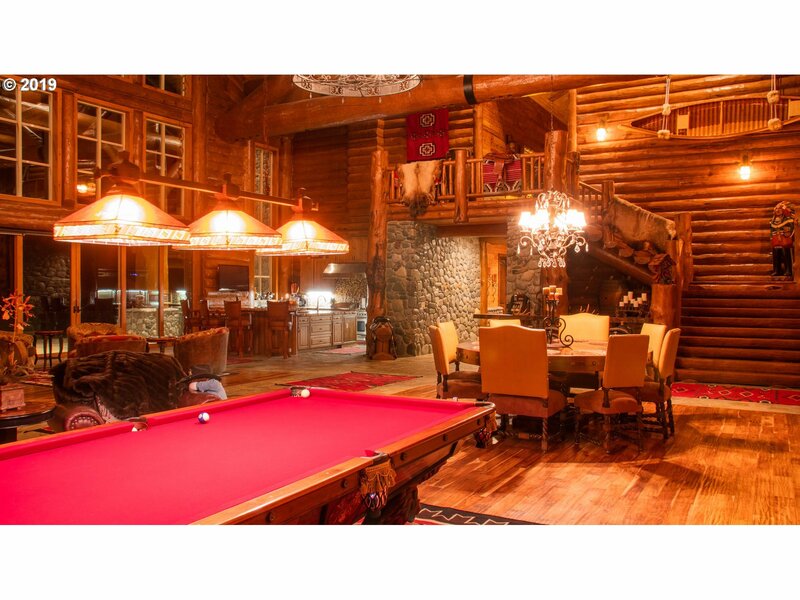 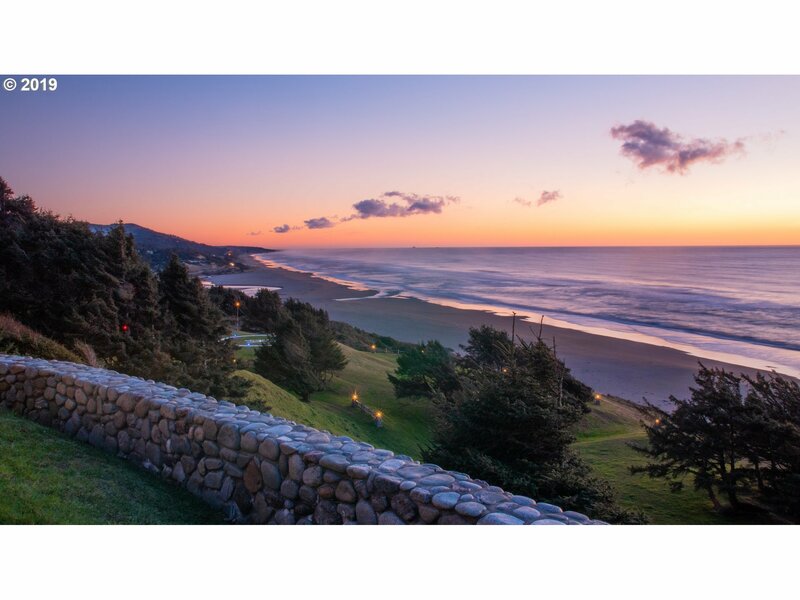 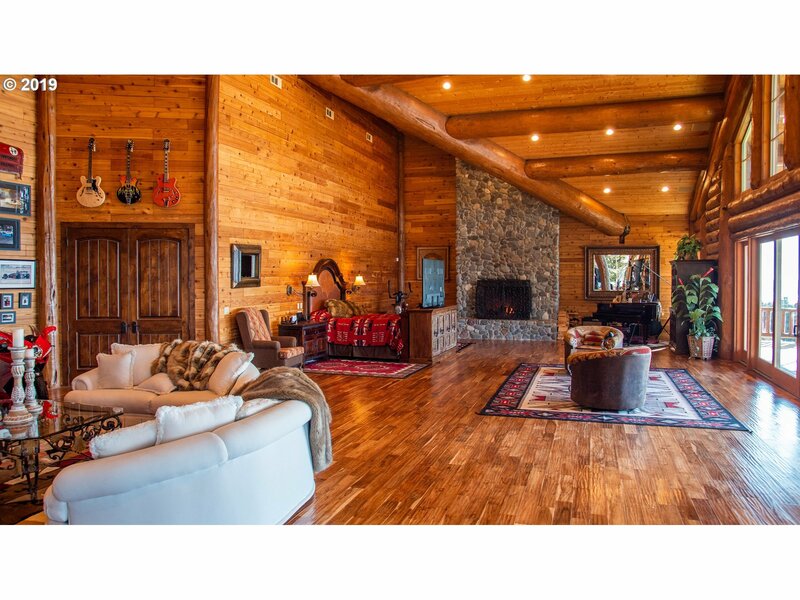 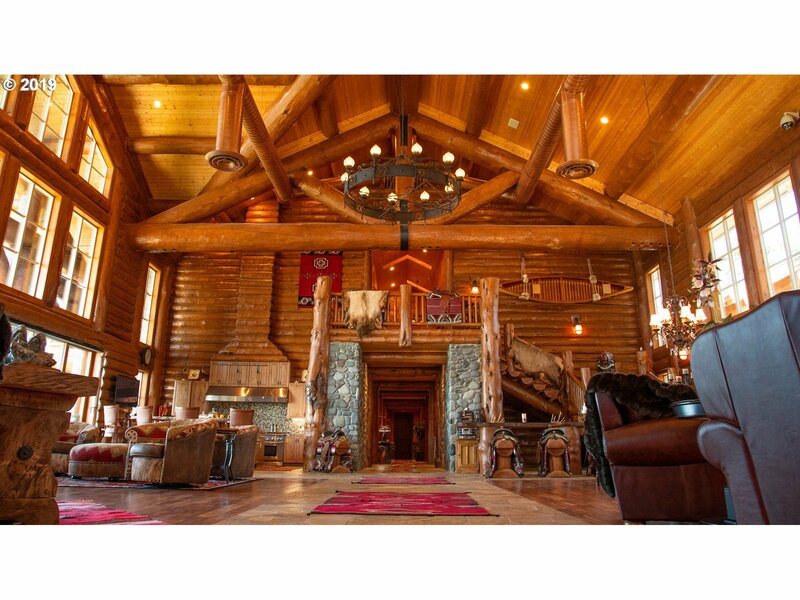 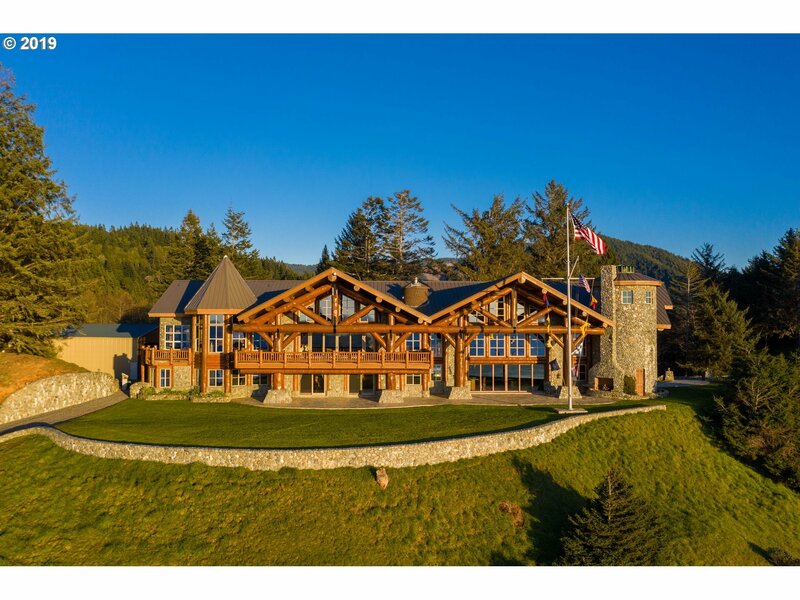 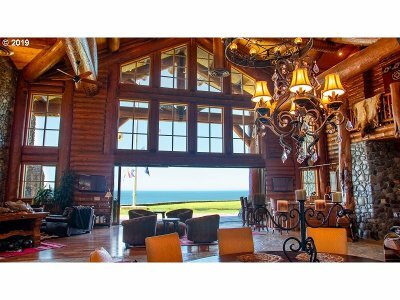 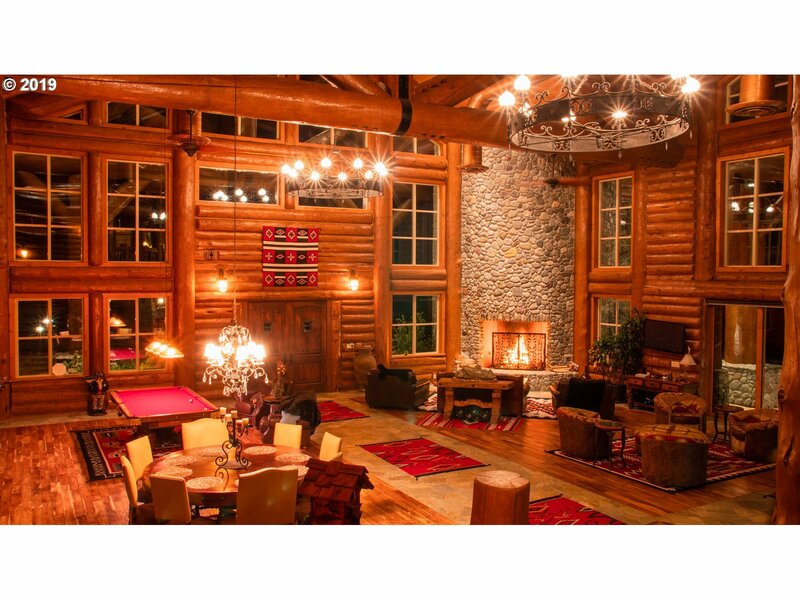 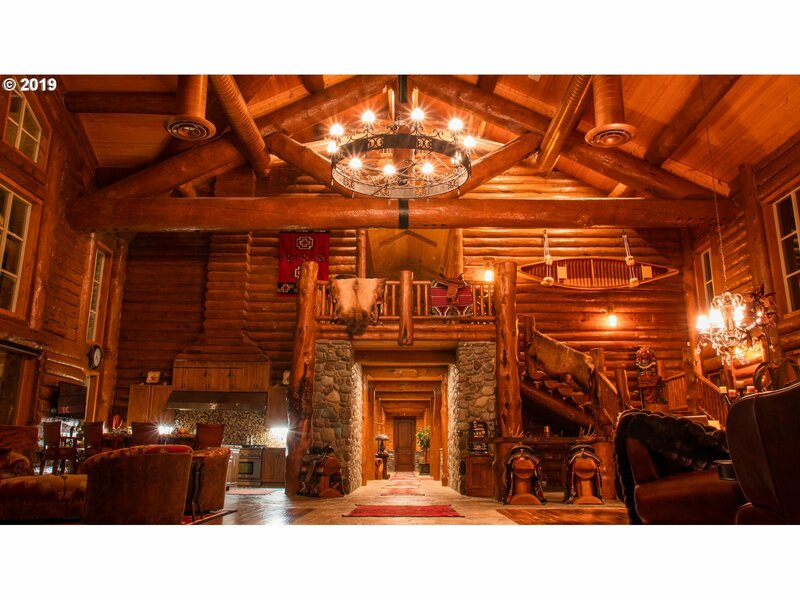 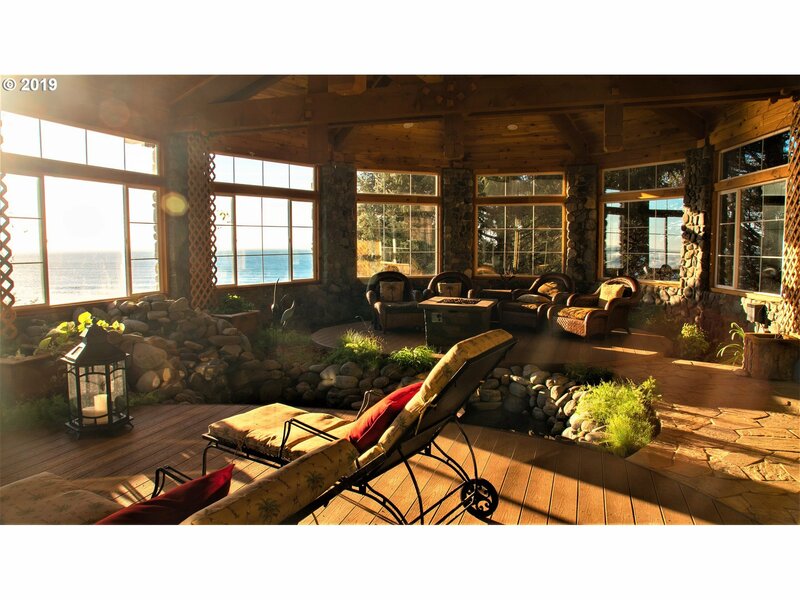 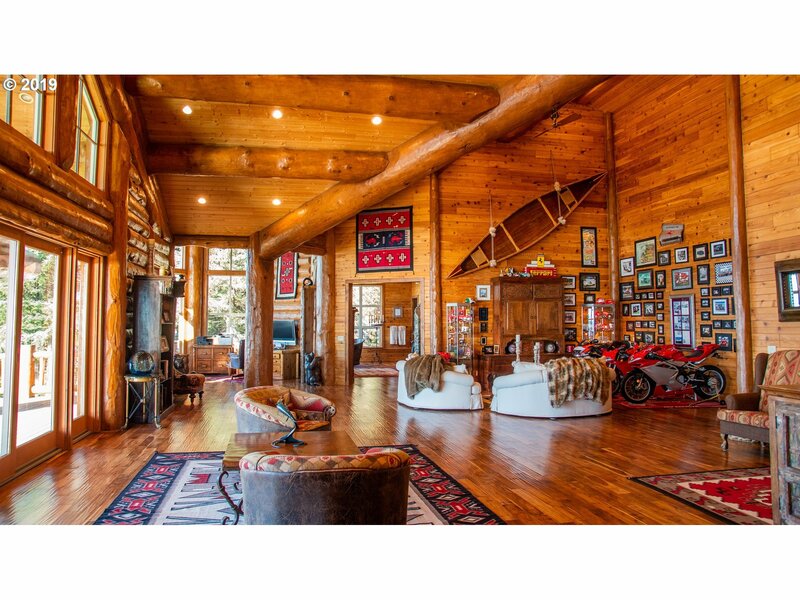 Radiating it's 10, 000 sq ft grandeur, this MASSIVE LOG HOME ESTATE rests serenely on 28+ acres of OCEANFRONT coastline. 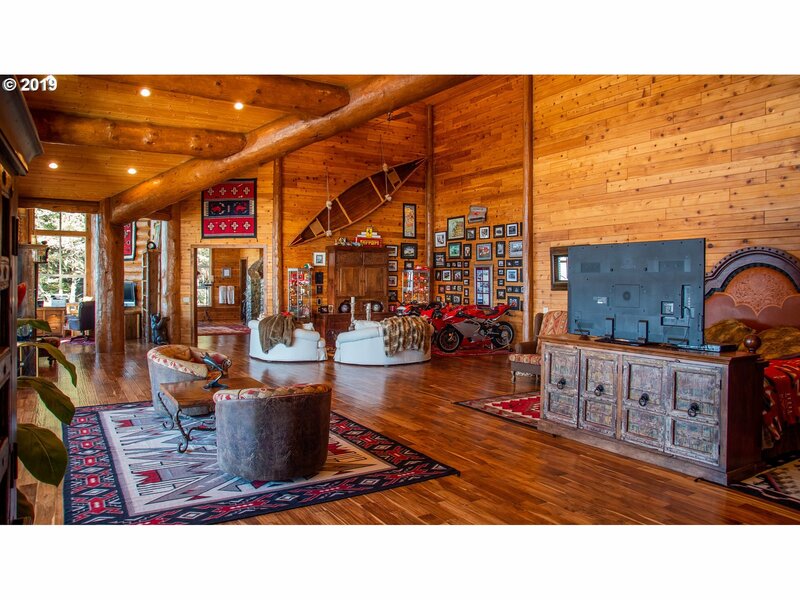 Enormous living spaces throughout. 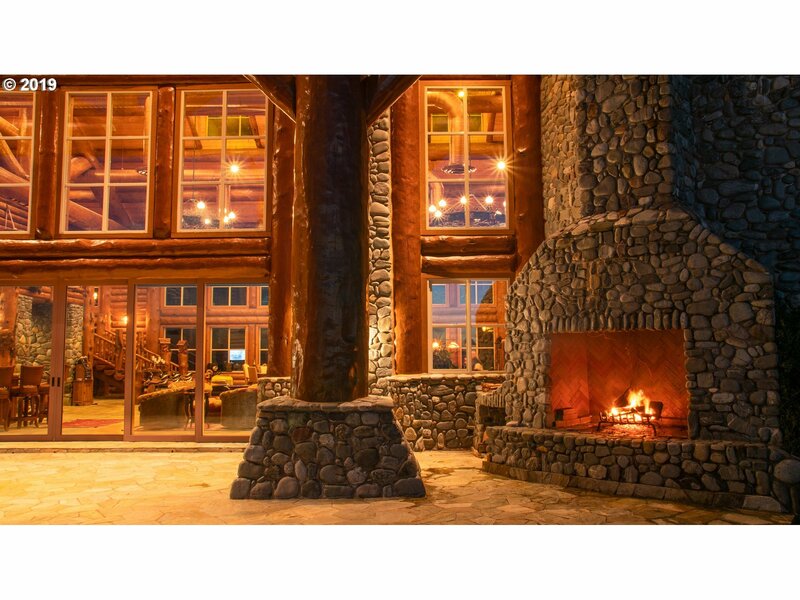 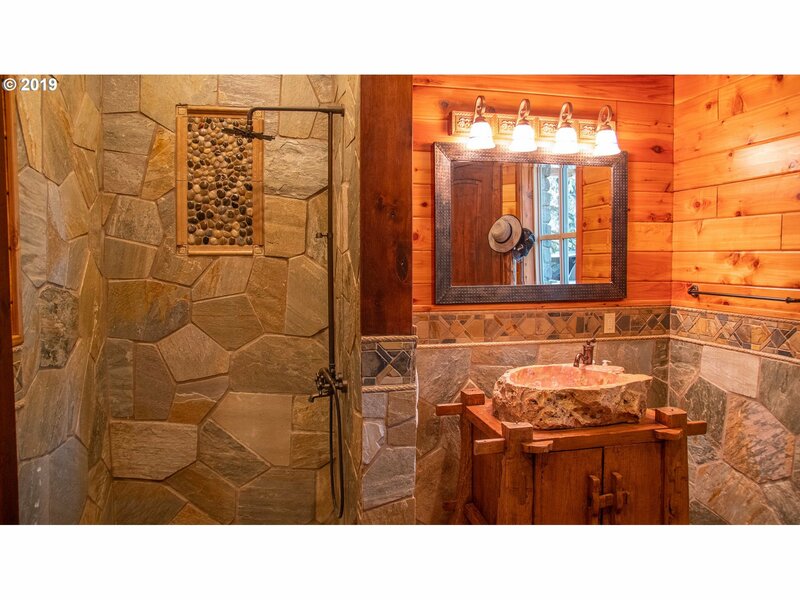 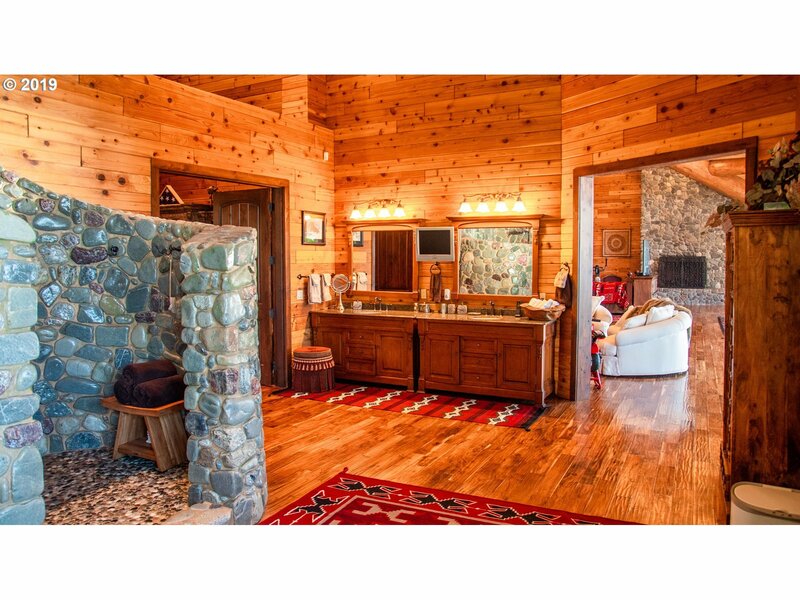 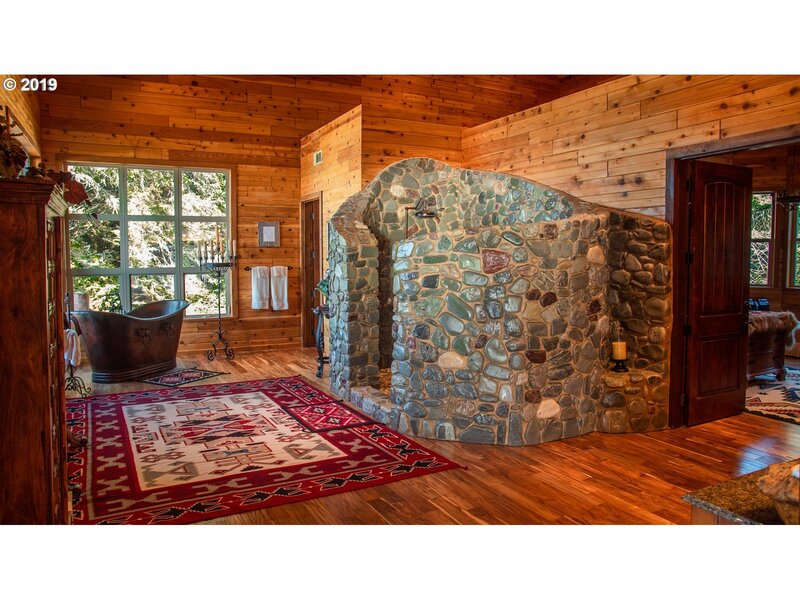 Floor to ceiling windows, dramatic river rock fireplace reaches up to 35' high soaring ceiling. 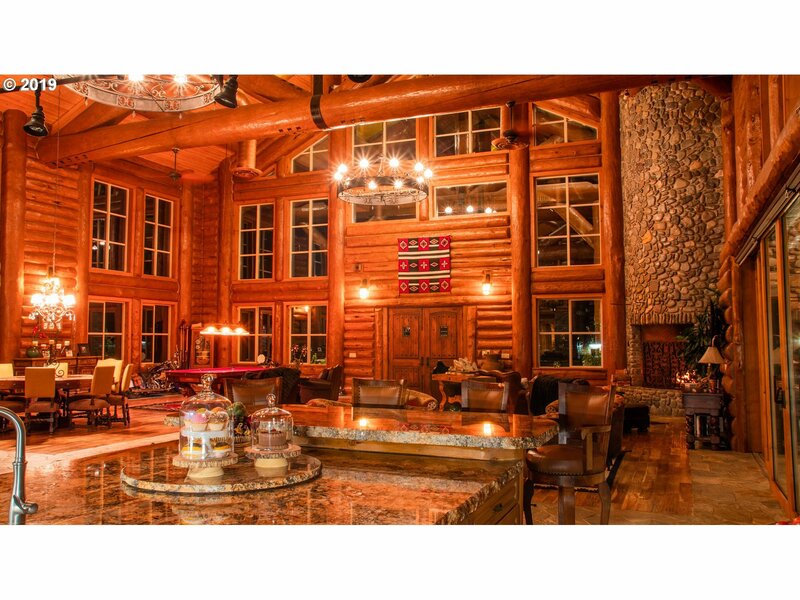 Massive old growth logs imported from Canada. 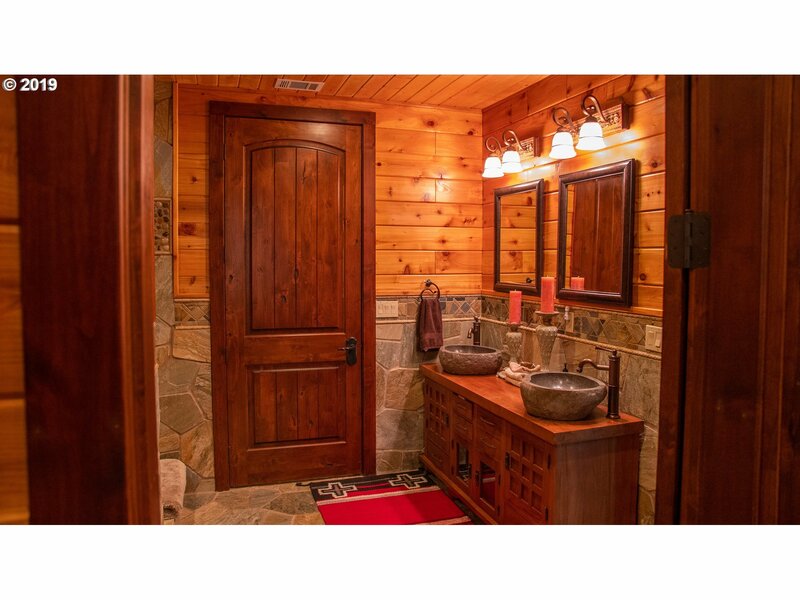 Rich combination of Quartzite & hand scraped Acacia wood floors. 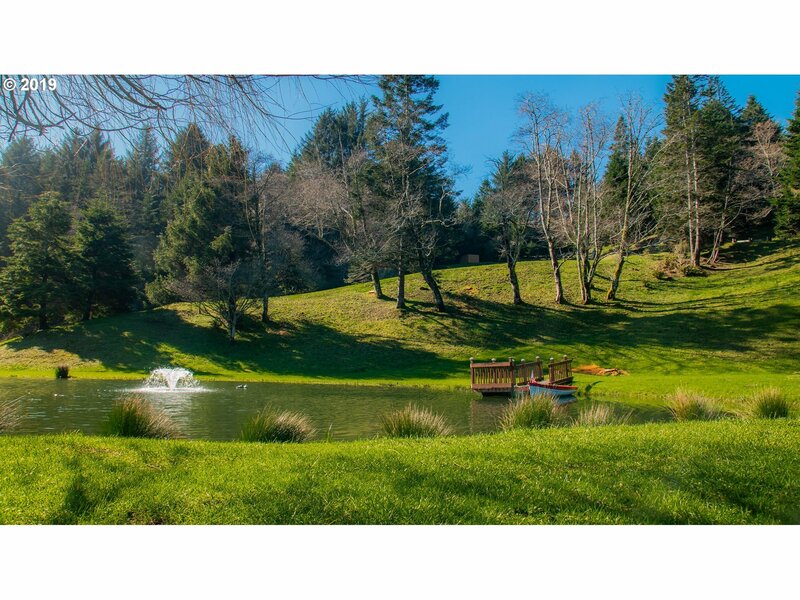 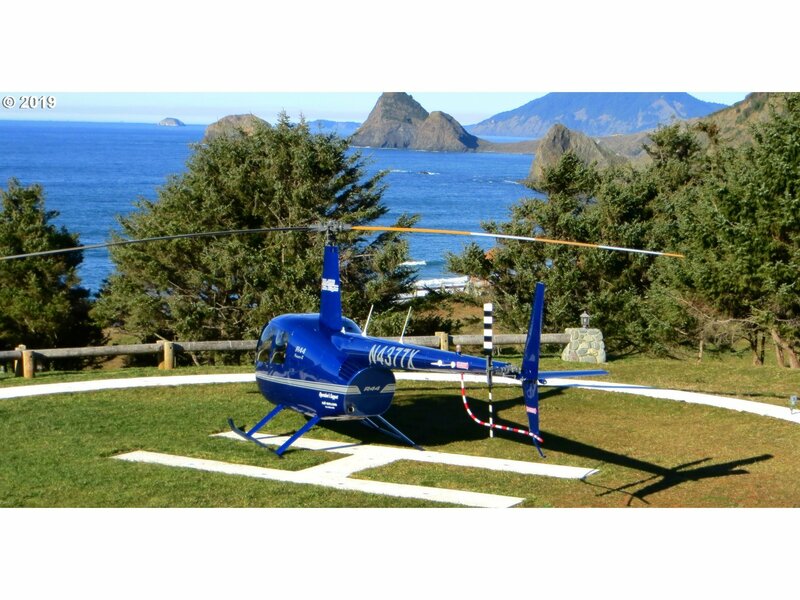 Guesthouse, Pond, 2 barns, shop, gazebo, private Helipad and beach access.